Shannon and Mary Morgan are the owners and operators of Cyber-Zone, a Laser Tag business, located at 6 Commercial Street in Corner Brook, Newfoundland and Labrador. The doors of Cyber-Zone opened on the first day of the Corner Brook Winter Carnival in 2003, and the business continues to operate in the area today. Shannon acquired the idea for Cyber-Zone while he was in Ontario. He had started playing laser tag at a local business there and was amazed at how much fun it was. When he returned to Newfoundland, he realized that there were currently no similar businesses in Corner Brook and he wanted those in his city, to experience the excitement and fun that he had personally experienced when playing laser tag. With the help of CBDC Humber in Corner Brook, Cyber-Zone has been transforming the way Western Newfoundland and Labrador play the classic game of tag. Through the use of intricate mazes, fog machines, black lights, and laser funs, people of all ages are being introduced to the marvel of laser tag. The basic rules of the game are relatively simple, with players aiming phasers or laser guns that emit light beams at light-sensitive receivers on the opposing team’s vests. The object of the game is to score points by tagging your opponent by shooting them with the light beams. The laser tag play arena is complete with a combat maze, fog machines, high-tech lighting, a sound system, an infra-red scoring system, and real-time computer communications. Visually exciting, with laser beams zipping through the air, and physically exhilarating, the game combines the thrill of the hunt with camaraderie – all in a safe, family environment. Shannon advises that, when he originally started to look for a loan, it was hard to get anyone to take a chance on his business idea. As the game is futuristic and the business idea different from any of the other businesses in his area at the time, not many financing agencies believed that this business would be a success. 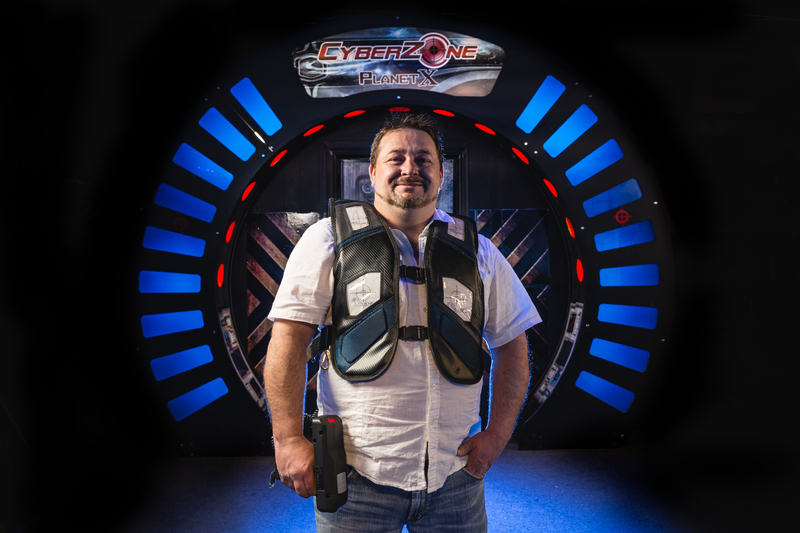 The CBDC helped Shannon bring the world of laser tag to Western Newfoundland by assisting him with his first loan, and being there to help with the growth of his business over the years.